The human size - Viking! posted by WTF 1 year ago on The moutain Temple! posted by fantastic 1 year ago on The moutain Temple! posted by Artur 1 year ago on The moutain Temple! posted by David6132 1 year ago on The moutain Temple! By the way this look amazing. I bought this game for my school project but i could not figure it out how to build a map or building. Hi i want to know how to create a map. posted by machines512 1 year ago on The Werewolf! posted by Davidblack 1 year ago on Very small engine! VANILA! posted by WxoxW 2 years ago on The Eagle! posted by Roycehellion 2 years ago on The Werewolf! posted by BesiegeHomo 2 years ago on Hydrogen BOMB! posted by ninh 2 years ago on The Werewolf! posted by Artur 2 years ago on Star fighter - "Alpha"
posted by Shade 2 years ago on Star fighter - "Alpha"
Thats a very beautiful wing, what did you made it with? posted by Harry 2 years ago on Star fighter - "Alpha"
Good idea with the spike in the back, looking as a flame. posted by cowblunk 2 years ago on WORLD'S FIRST PLANE! posted by Roycehellion 2 years ago on Hydrogen BOMB! Wow! great idea! really well done! posted by Artur 2 years ago on Hydrogen BOMB! posted by madman 2 years ago on Hydrogen BOMB! posted by RIDDIK 2 years ago on Hydrogen BOMB! posted by Harry 2 years ago on Hydrogen BOMB! posted by 1Second 2 years ago on Hydrogen BOMB! 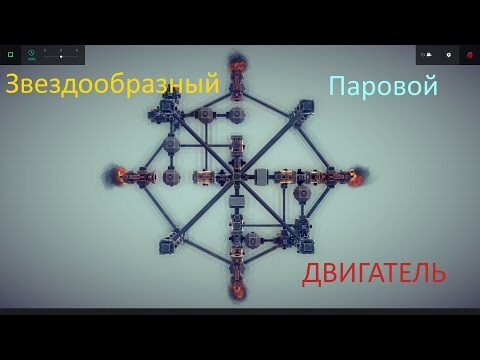 posted by Artur 2 years ago on Very small engine! VANILA! posted by Milchael 2 years ago on Very small engine! VANILA! not very effective but a very cool design!